Note to my regular readers: I apologize for the neglect of my blog. I just received word that I'll be teaching at a new high school next year, so I'm trying to move 15 years of accumulated classroom materials and prepare for my new assignment at the same time the school year is wrapping up, but I didn't want to leave you without a Person-of-Mystery today, so please enjoy. Welcome to Cipher Saturday! You've found the home of everyone's favorite weekend pastime, where a stylized photo of a somewhat famous person from history is provided here for you to identify. So, who could I be? That's the mystery! Go ahead and take a guess and then go enjoy your day. Check back tomorrow and I'll reveal the answer. The first correct post will be declared the winner. If you'd like to make sure that your guess is correct, enter his name into Google Images and this photo will be found on the first pages of the image results. Prince or a pauper, king or a fool, my name still lives on in the land that I ruled. Good luck with the move! It's a pain to go through all of the materials you have and decide what stays and what goes. Lynn, good work. You have cracked the cipher. Now does anyone recognize the Person-of-Mystery? I'll take a guess, wild of course. 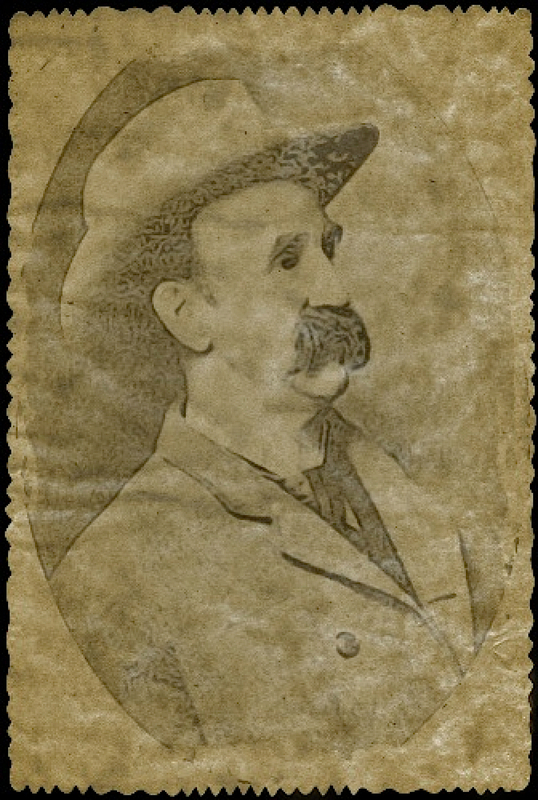 Charles Darrow credited with inventing the Monopoly game. Thanks for the guess, DAG, but it is not Darrow. That is your Great-Great Grandpa who was the undefeated champion of the First National Monopoly tournament held in Uncle Pennybags garage on the Forth of July. There were 1,347 contestants, and it took over a month to complete. You know how long Monopoly games can drag out. Ha ha. No, DADD, it is not my 2nd Great-Grandfather, but thanks for the guess. It looks like you are going to have to give us some more clues, Nate. But then I still wouldn't know who it is. I'm not up on rulers, fools or otherwise. Good luck with your move. Your idea or an administrators? He reminds me of Thomson and Thompson (from the Tintin comic books). Judi, administrator's idea, but I'm happy with it. Rob, yes, he does, but I can't decide which one he resembles more.